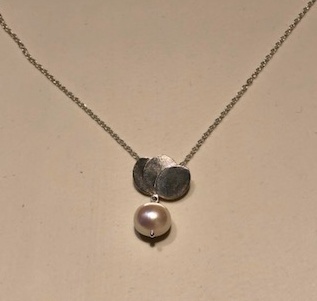 A round pearl hangs from an array of sterling silver petals on a round link extended chain. The pendant is approximately 1 inch long and .75 inches wide. The chain is approximately 18 inches long.